APU vs CPU vs GPU. Which One is Best for Gaming? Home Blog Tips & Tricks CPUs APU vs CPU vs GPU. Which One is Best for Gaming? Once upon a time, a computer was merely a computer. But one day, a genius came up with an idea: “Let’s make a computer that is optimized for gaming!” That genius is long since dead, but the legacy left behind is not. As technology continued to grow, it became clear that these new fangled gaming computers would need to prioritize graphics processing power over task processing power. Thus, the most expensive part of your gaming computer build was born. And low, poor people everywhere were left basking in the greatness of the Master Race’s most masterful, master computers! They were left out in the cold, perhaps never able to build their own PC on a budget again. Until, an unexpecting challenger rose to the occasion and gave new hope to gamers on a budget everywhere. Ahem. Now that I’ve milked that joke, let’s get under way. With so many acronyms in the computer world, it can be easy to get turned around. So, what do these three mean? Often the heart of a build, the CPU, also called your processor, is an essential part of any computer, as it receives all the data being input from your computer and directs where it goes. To put it simply, a processor processes everything you do on your computer. Getting a processor with a higher core count and thread count will allow it to receive more tasks at once. And a higher clock speed will allow it to perform those tasks faster. Both of these increase how much data a CPU can handle, which results in a smoother user experience. Commonly referred to as a video card or graphics card, this is usually one of the main components for a gaming based computer. The faster your video card can process information, the more frames you will get every second. Since games are visually demanding, they require a more powerful graphics card than your standard word processor station. Video cards are often the most expensive part of your gaming build and can be a tricky mountain to tackle when on a strict budget. There are cheap video card options, but they don’t always offer good gaming performance. Combining the best of both worlds-- gaming graphics cards and processors-- gives us the Accelerated Processing Unit (APU). Combining AMD’s Radeon graphics with its line of processors, AMD is trying to bridge the gap between the two. Integrated graphics are most commonly found on Intel processors, and work much the same way that the AMD APU does. The biggest difference being that Intel’s integrated graphics are much weaker than AMD’s APUs. Why Would You Want an APU or Integrated GPU? Without one of these two solutions, you would need to have a dedicated CPU and a dedicated GPU. In both of these cases -- APU and Integrated Graphics -- these function as a dedicated CPU while also performing the tasks that you’d need a GPU to perform: actually putting an image on your screen. The real selling point for both of these solutions is that they are great budget options. You can buy an APU or CPU with Integrated Graphics and use them until you’ve saved up for a more powerful GPU. In the case of AMD’s new APUs, the included GPU capabilities are rather powerful and actually allow for some respectable gaming. While integrated graphics won’t get you so far, they are still great for non-gamers that use their computers for word processing and internet browsing. What does an APU offer? In 2017, AMD hit the market with its successful lineup of Ryzen processors. Offering great core count and thread count at affordable prices, they quickly became popular amongst gamers. After the release, it was announced that AMD would be releasing an APU based on Ryzen with scaled-down Vega graphics. This is great news, as their Vega graphic platform is significantly stronger and more powerful than the previous Radeon graphics generation. 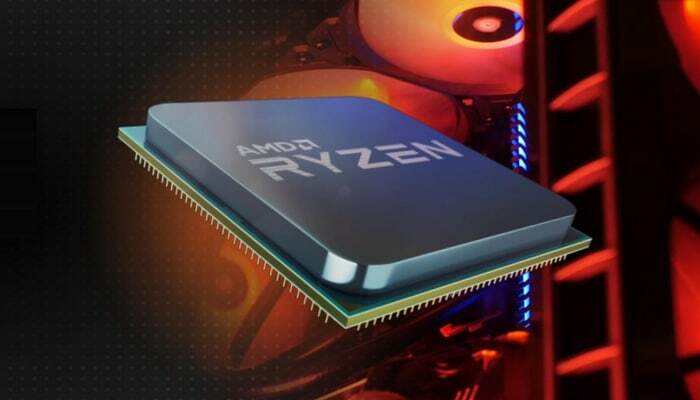 There are two models in the current Ryzen APU lineup, although more will be released as the line continues to grow and expand. Your two options are the Ryzen 3 2200G with Vega 8 graphics, and the Ryzen 5 2400G with Vega 11 graphics. Both APUs offer a quad core processor with speeds of over 3Ghz. This is great as it allows for a much more solid CPU foundation if you pair it with a graphics card later. Going with an APU gives you two options at the moment: the Ryzen 3 at ~$99, and the Ryzen 5 at ~$169. Already being a good price point for a quad-core processor on its own, having integrated Vega graphics just makes it even better. Combine that with the cost reduction of not needing a dedicated video card to go with it, and you can easily budget for an upgrade elsewhere. When considering an APU, it’s worth noting that they do not come with dedicated memory for graphics. You can dedicate up to 2GB of system memory to make up for this, so upgrading to more than 8GB of RAM is recommended. Going with a CPU means you need a discrete graphics card to go along with it, increasing the cost of your build, which stretches your budget even thinner. To show a setup with a dedicated graphics card that is comparable to a Ryzen 2400g (~$169), we’ll compare it against an i3 8100 (~$117) with a Nvidia GTX 1030 graphics card (~$90). This puts the price at close to $210, giving us a price difference of $50. This could be used to upgrade to a bigger hard drive, or even a good SSD for a boot drive with the right sale. If your budget will allow it though, pairing a more powerful discrete video card with a processor almost always going to be a considerable amount more powerful than an APU. How easy is it to upgrade? Everyone wants longevity out of their equipment, but upgrades are inevitable. If you’re going with a traditional processor and graphics card setup, this can be an expensive process. 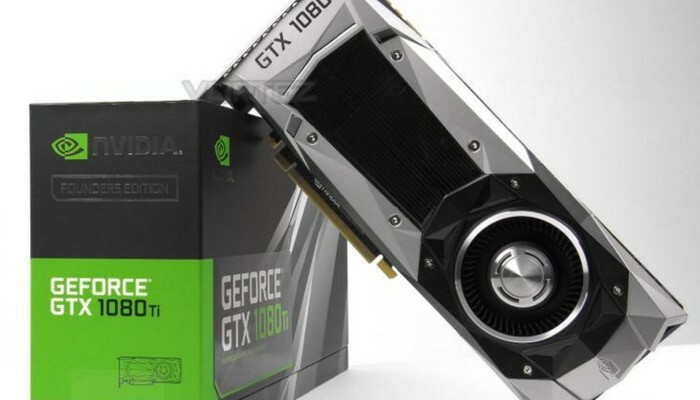 Upgrading your video card is usually pretty straightforward, as compatibility factors don’t change very often. When upgrading to a dedicated graphics card in an APU system the integrated graphics will be disabled, giving you a dedicated processor. Before the release of Ryzen, upgrading your APU system was a pain. The sockets on the motherboard didn’t match with that of the AMD gaming line of processors, and if you wished to upgrade, then it had to be specifically paired with a matching Radeon GPU. This meant that if you wanted to upgrade to anything newer, then everything had to be swapped out. The resulting, steep price made APU’s a bad business decision. This all changed, though, when they released Ryzen and gave us a better CPU platform. Wanting to make upgrading an easier and less expensive task, all Ryzen CPUs and APUs will use the same socket. 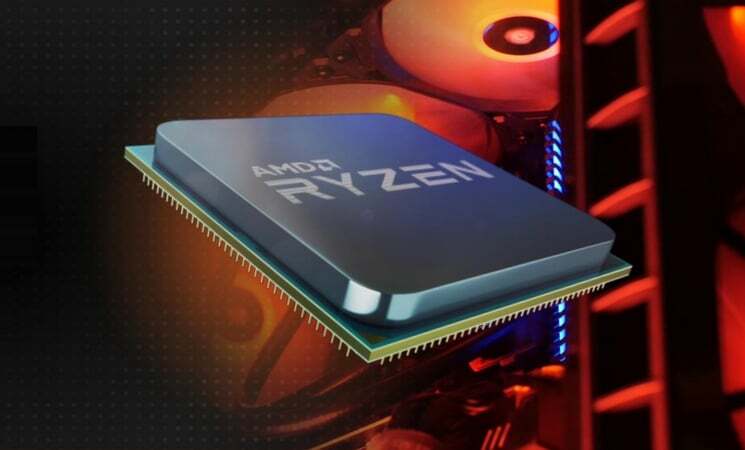 At the same time, AMD introduced backward and forwards compatibility within the Ryzen family. All Ryzen based CPUs are and will be an AM4 socket and all past, current, and future chipsets will be compatible. Adding a graphics card down the road is as easy as pairing with a CPU now because that’s basically what it is. The Ryzen based APU will work with any graphics card, allowing much more flexibility in deciding how you want to upgrade later. What direction will you choose? So we’ve looked at APUs, and GPUs and CPUs, what is your decision? Will you go the budget-friendly route with an APU and wait to upgrade to a discrete card later? Or will you wait and save up for that extra bit of a power bump right out of the gate? Personally, I’ve built 3 APU systems for super budget builds, and have had great experiences with them. My latest APU setup used a 2400G paired with 16GB of RAM clocked a little over 3400Mhz while using a 2.5” SSD as the boot drive. So far it’s been stable and running very well. The client mainly plays World of Warcraft with it and has graphics turned all the way to max and experiences no hiccups. Now, World of Warcraft is designed to run on even a potato of a computer, so I ran a test with Overwatch as well. This ran on medium settings for 1080p at a solid 45 FPS, which is great for a budget build. At the end of the day, it all comes down to what your requirements are. Hopefully, if you’re on a budget, or know someone who is, then your new APU knowledge will guide you down the path that keeps your wallet, or purse, full (Or your bank. What sort of weirdo keeps all their cash on their person?). Read more: What Is The Best APU For Gaming? Even though APUs seem very useful, they are not. When they break, they break. Either you buy a new CPU, and a GPU, or buy a new APU, which, due to their new construction and short life span, and lack of understanding of them, don’t last very long. Reilly Leaton is an avid gaming PC enthusiast. Having been around computers all his life thanks to his father owning multiple PC stores, he's been building and repairing computers of all budgets and types since he was a kid. Deciding to enter the blogging world, Reilly hopes to help beginner and vet alike pursue their own passions. His personal computer currently runs a Radeon RX 580 paired with a Ryzen 1700 and 32GB of RAM.